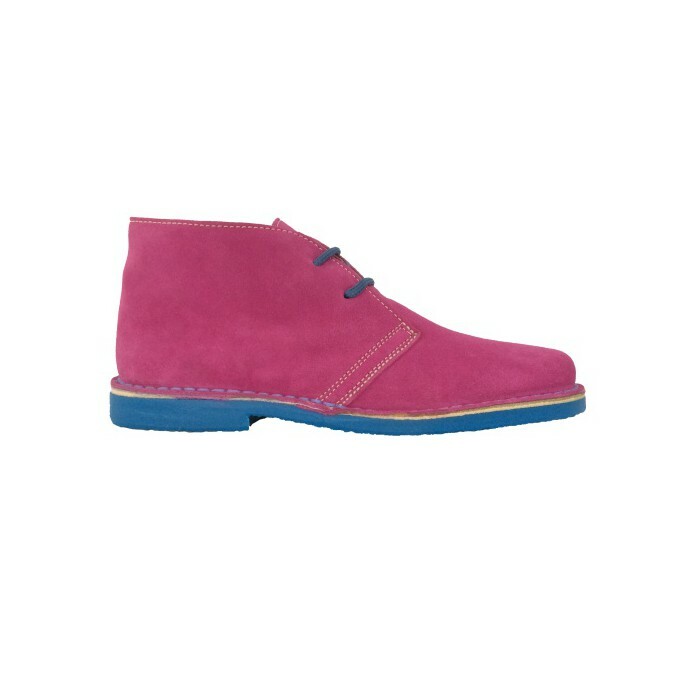 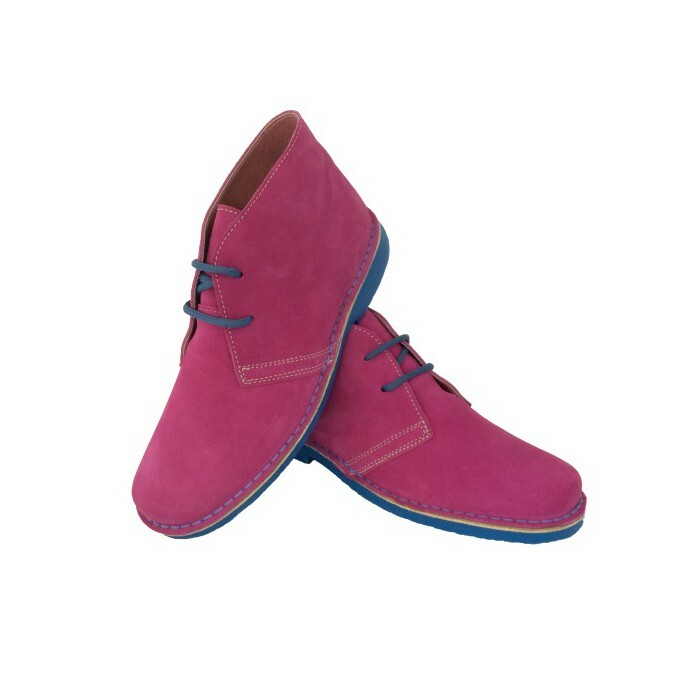 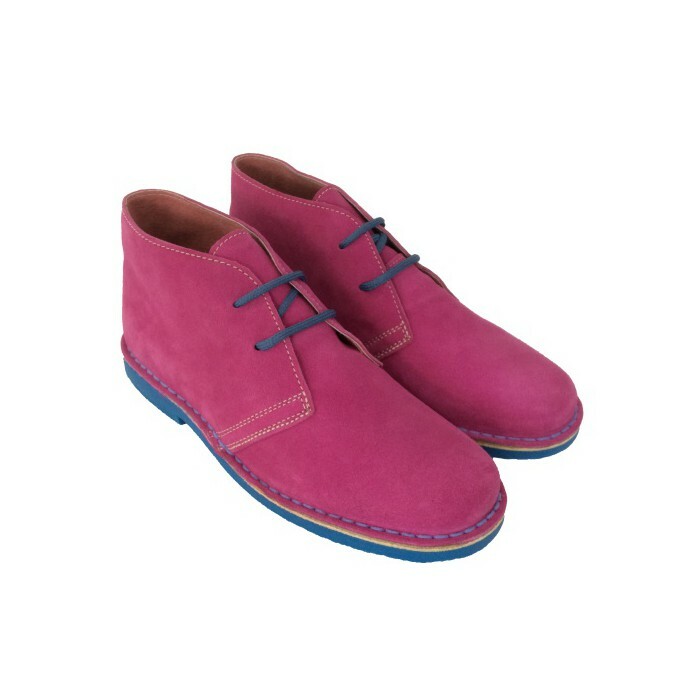 Desert boots in a beautiful and unusual color combination: fuchsia with the sole, seam and cords in light blue. 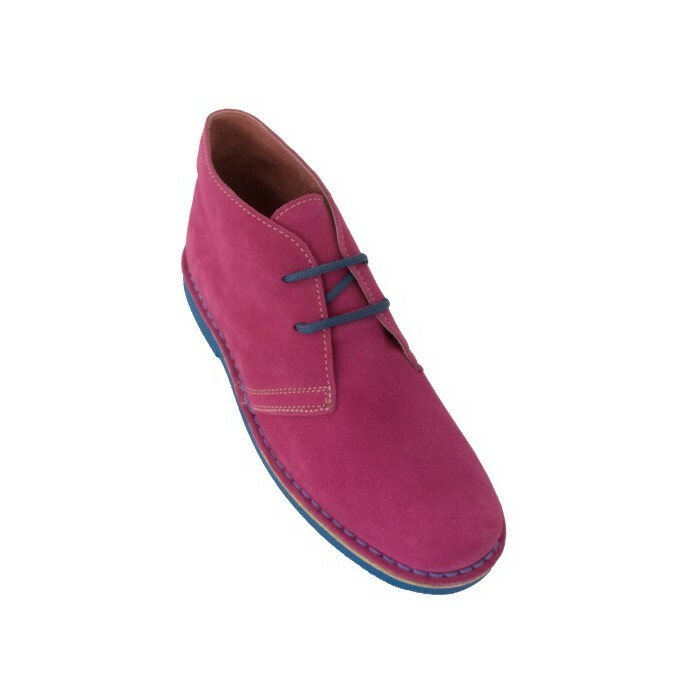 Totally exclusive of AutenticasBotas. 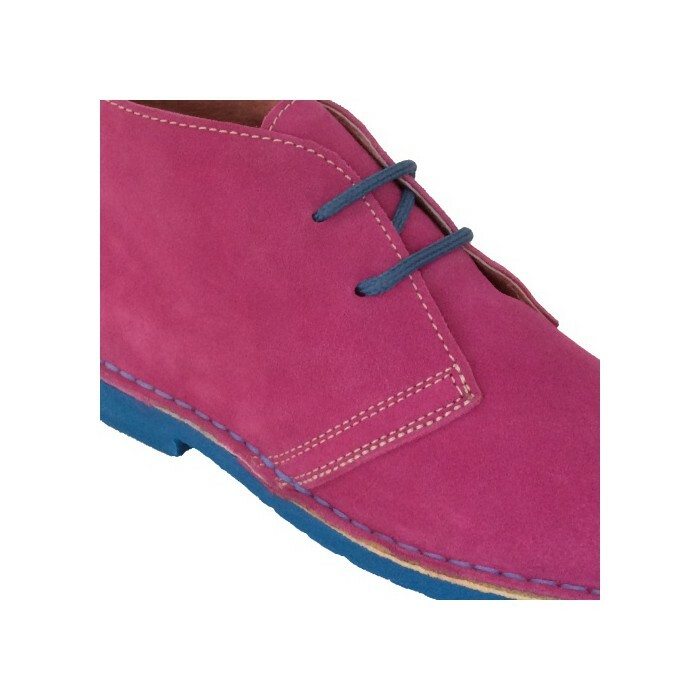 With the same construction and shoe tree of always, the same qualities that you already know and with guarantee. 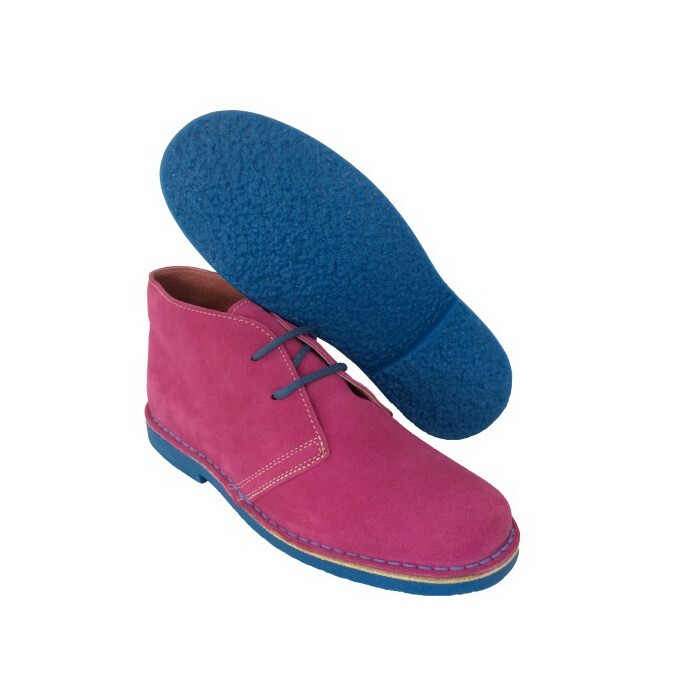 These Bicolor desert boots have been chosen by customers through a survey sent to more than 3,000 people, and the fuxia combination with celeste is chosen for 15% of the total of the votes, out of a total of 12 possible responses. 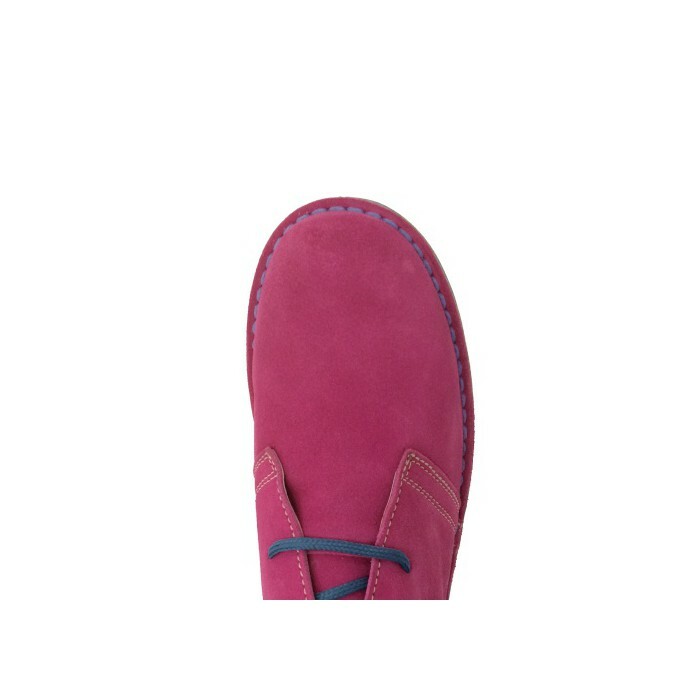 We can be wrong, but 3,000 people ... is more difficult.